You are searching for a way to feel better. I was too. A busy marketing executive, I've been passionate about my work for as long as I can remember, but when I moved into my mid-30's, I began to struggle to find good stress management, meal planning for business travel and good work-life balance. Many of us need a helping hand. Relationships, work, family, kids, health and nutrition are complex issues that are tough to navigate. You might be someone who needs help figuring out how to transition to a more natural, organic diet. Or want a tour through a co-op to better understand what quinoa and spelt are. Or can't put your finger on why you're not feeling your best and need to figure out a different way. You're in good company - we've all been there. My goal is to help clients realize the best path to feel more joy. It's really that simple. My methods are not prescriptive, because no mind and body are the same. What works for one person may not work for another. I specialize in holistic, actionable plans and solutions to create better work life balance, and get to the root of pesky ailments like poor sleep and energy highs and lows. 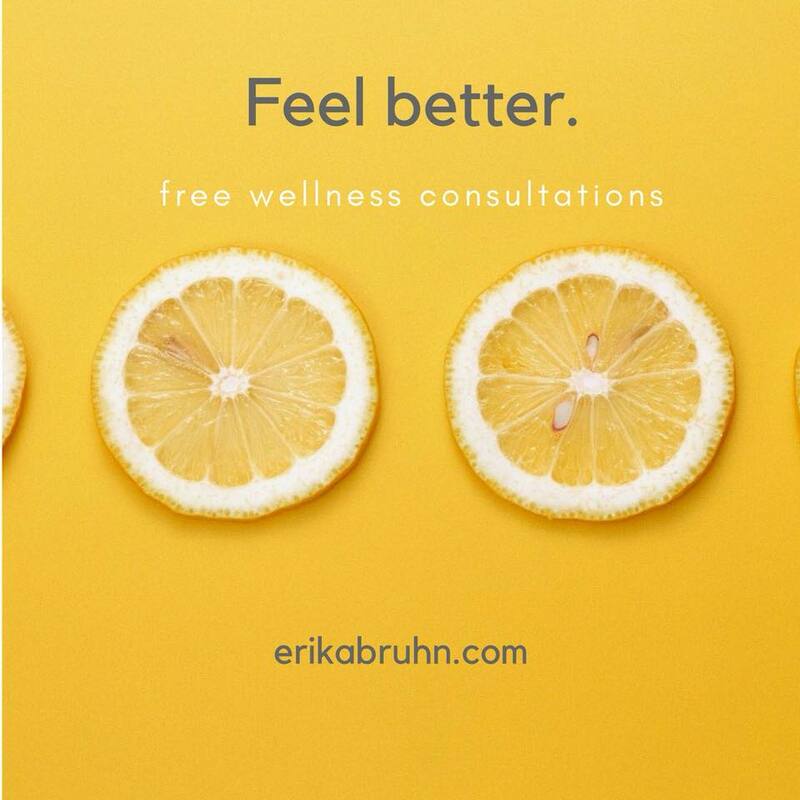 Contact me for a complimentary health consultation and learn more about the programs I offer: erikabruhn@gmail.com, or 530-570-2406. *I am not a doctor and the content on this site is not intended to be a substitute for professional medical advice, diagnosis, or treatment. Always seek the advice of your physician or other qualified health provider with any questions you may have regarding a medical condition.